It's safe to say that showing a little shoulder and dramatic ruffles are going to be big this spring. We got a taste of both of these trends last spring and summer and I'm thrilled we'll be embracing them again! 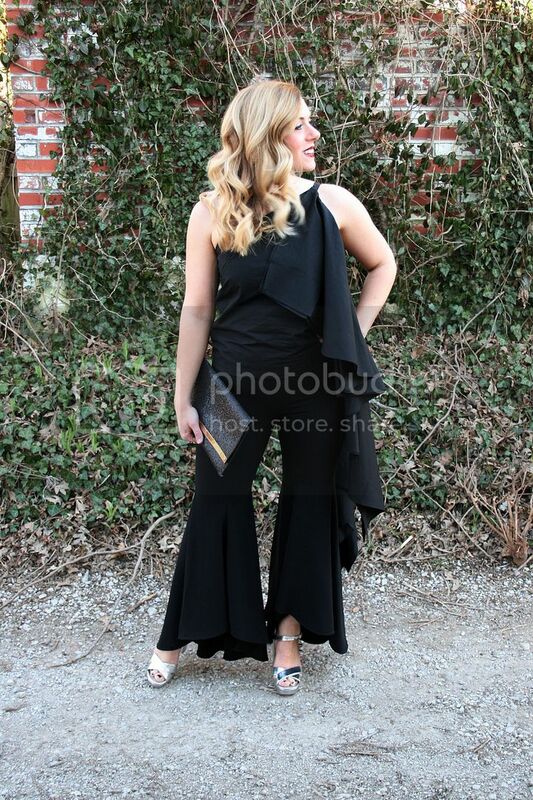 The hem of these cropped flares is the perfect counterpart to the ruffle on this one shoulder, asymmetrical top. Together, it becomes a new take on a disco diva outfit. I totally have "Dancing Queen" by ABBA stuck in my head now. This would be a great alternative to a formal outfit, if you wanted to wear something different than a dress. The flow and movement of the flares and the top are elegant and, let's face it, everything looks chic in black. As we all know, no disco outfit is complete without silver metallic heels! 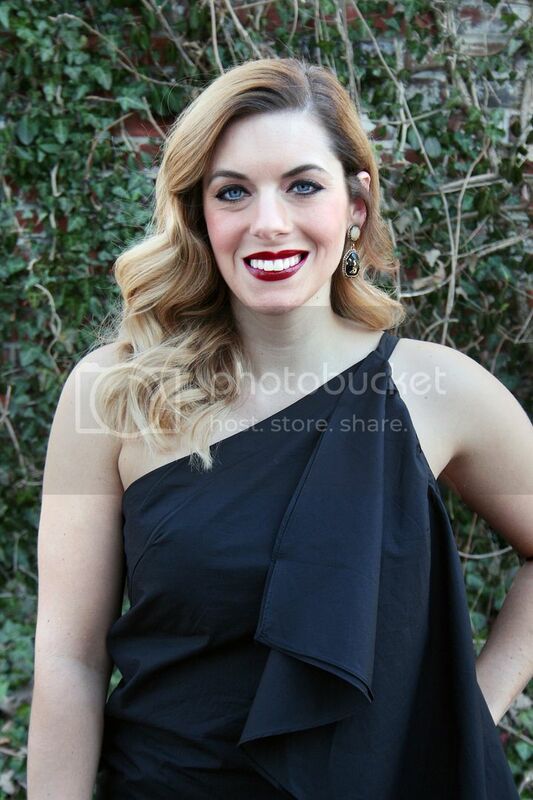 I classed up the outfit by adding a sparkly black clutch, drop earrings and a red lip as well. I'm excited to experiment with more ruffles and shoulder baring tops this spring and summer! How will you be wearing this trend?